Sportron products have been developed by combining the best of nature with leading science. We take nature’s gifts as inspiration and blend it with high science and true innovation. Each product is carefully formulated. 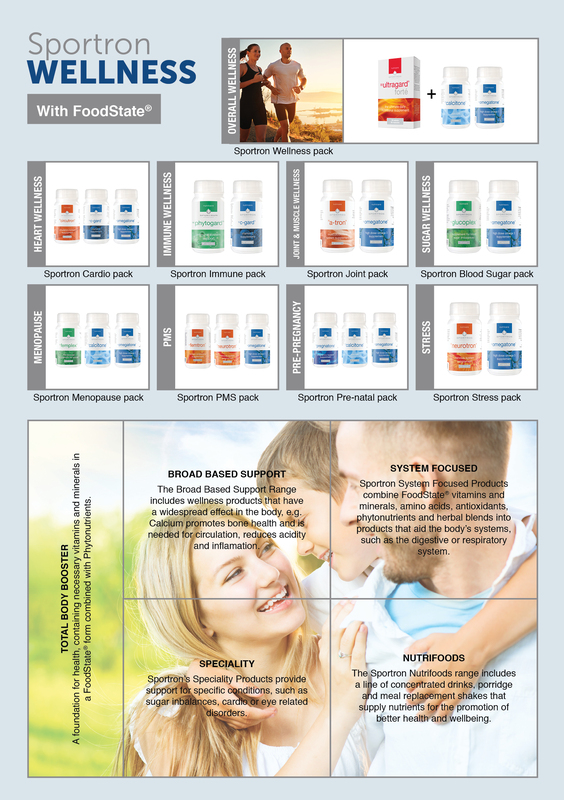 Sportron products have been carefully formulated to help maintain overall wellness and assist in certain conditions. The nutrient formulations are among the best in the world and comply with legal requirements. The superior nutrient formulations incorporate the breakthrough FoodState® technology which ensures that the body recognises nutrients in their natural form, as if they were consumed from food. • The nutrients are bio-available to the body. • The nutrients are better absorbed by the body as the body recognises them as natural. • They are delivered to the right targeted areas in the body for optimal effect. • The body retains the nutrients longer (up to 9 times) for better utilisation by the cells.